The entire building went up in just over a year, under budget (at $40 million) and well ahead of schedule. The idea for the Empire State Building is said to have been born of a competition between Walter Chrysler of the Chrysler Corporation and John Jakob Raskob of General Motors, to see who could erect the taller building. Chrysler had already begun work on the famous Chrysler Building, the gleaming 1,046-foot skyscraper in midtown Manhattan. Not to be bested, Raskob assembled a group of well-known investors, including former New York Governor Alfred E. Smith. The group chose the architecture firm Shreve, Lamb and Harmon Associates to design the building. The Art-Deco plans is said to have been based in large part on the look of a pencil. 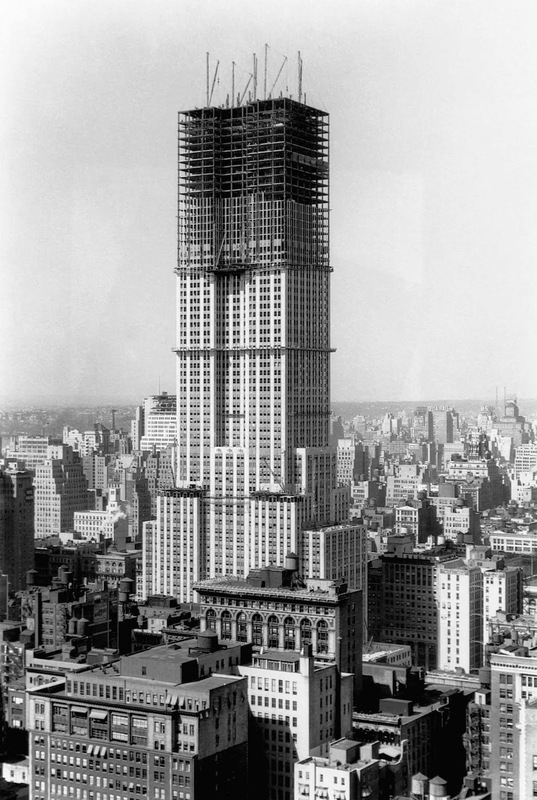 Despite the colossal size of the project, the design, planning and construction of the Empire State Building took just 20 months from start to finish. After demolishing the Waldorf-Astoria hotel—the plot’s previous occupant—contractors Starrett Brothers and Eken used an assembly line process to erect the new skyscraper in a brisk 410 days. Using as many as 3,400 men each day, they assembled its skeleton at a record pace of four and a half stories per week—so fast that the first 30 stories were completed before certain details of the ground floor were finalized. The Empire State Building was eventually finished ahead of schedule and under budget, but it also came with a human cost: at least five workers were killed during the construction process. The new building imbued New York City with a deep sense of pride, desperately needed in the depths of the Great Depression, when many city residents were unemployed and prospects looked bleak. The grip of the Depression on New York’s economy was still evident a year later, however, when only 25 percent of the Empire State’s offices had been rented. During certain periods of building, the frame grew an astonishing four-and-a-half stories a week.